Your adventure begins with expansive views of Lillian Ridge followed by a descent into Grand Valley. The trail winds its way down to a quiet alpine setting just below Grand Pass. After a peaceful sleep, explore deeper into Olympic National Park's wild interior and witness alpine areas, peaks, and basins that few visitors even know exist. This area is rich with wildlife. You will never forget this once in a lifetime experience. Depart for Obstruction Point Trailhead. Establish Base Camp near Grand Lake. Day 2: Explore Grand Valley, Grand Pass and beyond in Olympic National Park. Establish Base Camp near Moose Lake. Day 2: Explore Grand Valley & Grand Pass in Olympic National Park. 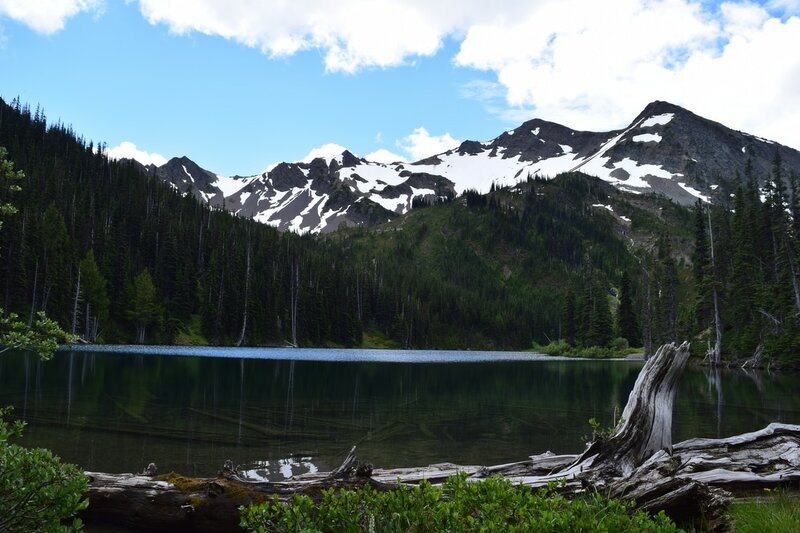 Day 3: Explore beyond Grand Pass in Olympic National Park. Transportation to & from the trailhead from ISO HQ at Sound Bikes & Kayaks. Additionally, ISO Adventures provides freeze-dried food bundles at a reduced price. Learn about the Grand Creek Drainage from the unique perspective of its former caretaker. Camp at Gladys Lake and experience the magic of Olympic National Park at nighttime.